Siena lies in the heart of Tuscany, not too far from its historical archrival, Florence. Although the two Tuscan towns are only about an hour’s drive apart, there is still a large psychological gulf between them—with travelers generally visiting one over the other. When I talked about going to Florence for the first time, I remember a friend saying, “Are you going to Siena? I looove Siena. I’m sure Florence is nice, but Siena….” I had heard similar refrains time and again, so a couple of years ago I ventured out to Siena, Italy. I found Siena to be a wonderful place to visit with stunning historical sites, fantastic places to eat, and a rich heritage rooted in its various contrade (neighborhoods) and twice annual Palio (horse race). Traveling to Siena, I was still weak from a stomach bug I had suffered the day before. 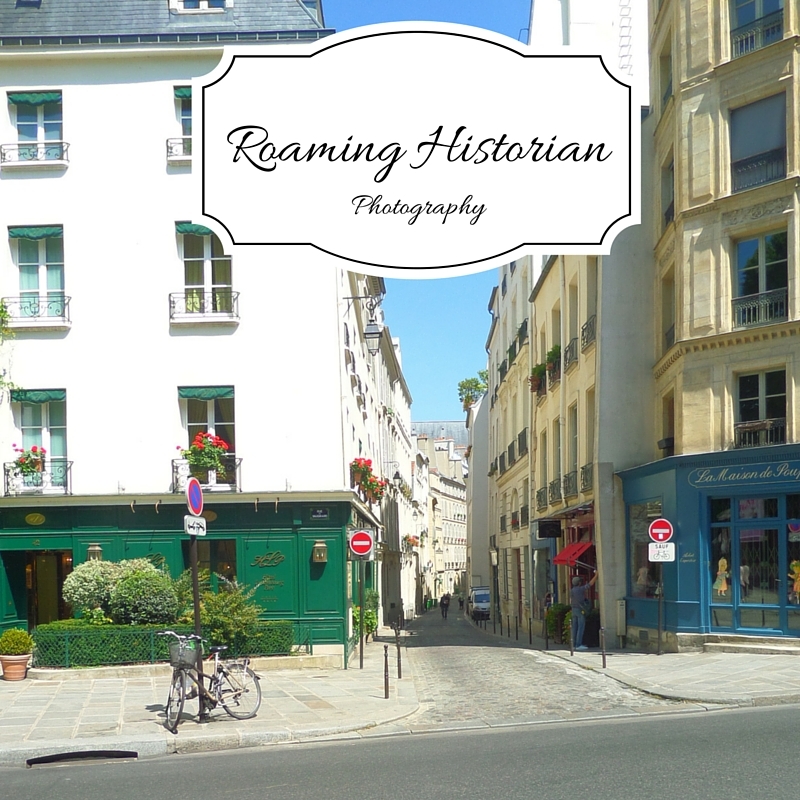 In hindsight this was perfect, because it meant I took my time ambling through the city’s medieval-feeling streets. We chose to visit Siena as a day trip from Florence, so I had researched thoroughly in order to make the most of our short time. I selected various sites to allow my husband and me an opportunity to experience Sienese culture through the city’s food, architecture, religion, and art. Siena is an easy day trip from Florence (although certainly worth a stay in its own right). I recommend riding the bus, as it’s more direct to the city center than the train. You will want to take the Busitalia SITA bus that takes about an hour and fifteen minutes on the rapida line 131r. The bus station is near Santa Maria Novella train station on via Santa Caterina da Siena (it’s a small side street). After a scenic ride through the Tuscan hillside, you arrive in Piazza Gramsci in Siena. Make sure to buy your tickets (I suggest getting the return too) at the bus station, because it’s more economical than buying on board. At the time of publication, a one-way ticket cost 7.80€ at the station. When you get to Siena, you’re sure to be charmed by the quintessentially Tuscan lanes. Take time to wander around. Notice plaques on the buildings marking which neighborhood (contrada) you are in. Pictures of objects on the plaque denote the contrada name—an eagle for Aquila, she-wolf for Lupa, unicorn for Leocorno, tower for Torre, and so on. We made our way to the main square, Piazza del Campo, at the heart of the city to sit down and enjoy a drink while people watching. Il Campo is a shell-shaped, brick-lined piazza in front of Siena’s city hall. Two times a year, it is transformed into a race track for the Palio. Once we finished drinking in the Tuscan scenery…and vino, we explored other sites; I encourage you to as well. Torre del Mangia—Italy’s third tallest tower was built in 1340. There are about 400 steps to climb to the top, if you’re looking to work off some carbohydrates. Pinacoteca Nazionale—an art museum specializing in medieval and early Renaissance works. Duomo/Duomo museum—the city’s main cathedral is a stunner with inlaid marble floors and stained glass. There are artworks by Michelangelo, Bernini, and Pisano. Baptistery—sculptures by Donatello, Ghiberti, and della Quercia adorn this religious building. Siena is known for some delectable delights. If you’re hungry, you may want to have a dish of pici pasta (hearty long strands thicker than spaghetti) with whatever sauce accompanies it. For dessert, try panforte—a tasty, chewy dolce made with dried fruits and nuts. I like the chocolate kind. Going to Italy? 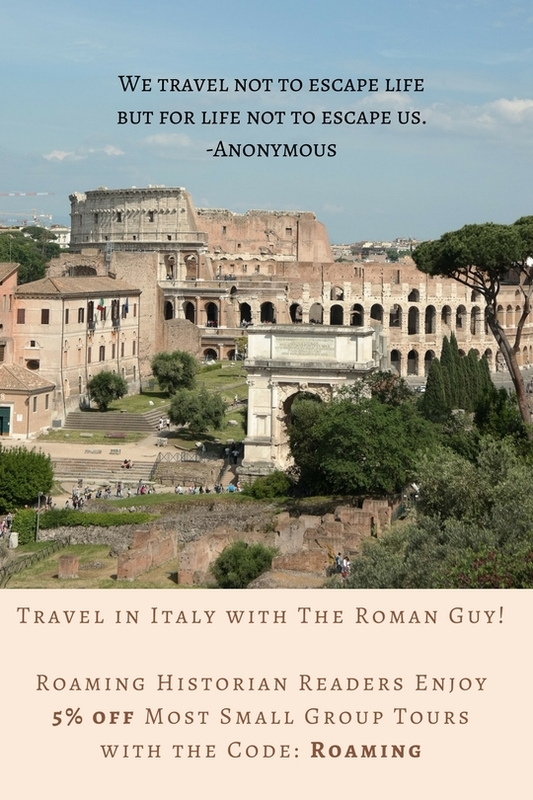 Roaming Historian readers can save money on The Roman Guy tours in many Italian cities! 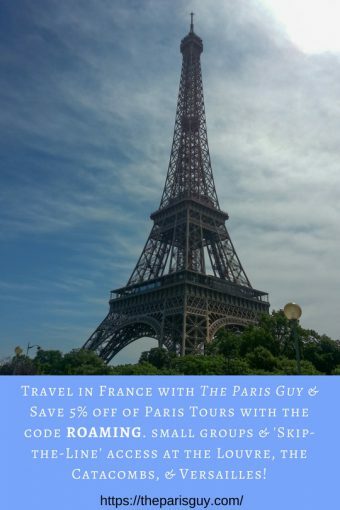 Just use the code “ROAMING” when booking to get 5% off of most small-group tours.